Becoming American: A Documentary Film and Discussion Series on Our Immigration Experience is a public program featuring documentary film screenings and moderated discussions designed to encourage an informed dialogue around immigration issues against the backdrop of our immigration history. Hosted in Richmond at the Library of Virginia with discussions led by staff from VCU Globe (Virginia Commonwealth University's Global Education Office), this is the first of three spring evening events, with three more scheduled for the fall. April 2's screening is New York: A Documentary Film, with discussion led by VCU Globe's Barbara Ingber. Becoming American is designed to engage and enlighten audiences by screening documentary films that represent a selection of diverse immigration experiences drawn from both the past and the present. For more information, contact Emma Ito via emma.ito@lva.virginia.gov or 804.692.3726. Becoming American is a project of City Lore in collaboration with the Immigration and Ethnic History Society and the International Coalition of the Sites of Conscience. The project has been made possible by a major grant from the National Endowment for the Humanities: Exploring the Human Endeavor. 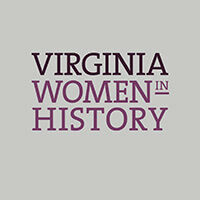 This event complements the Library's current exhibition, New Virginians: 1619–2019 & Beyond, presented by the Library and Virginia Humanities, a Legacy Project of the 2019 Commemoration, American Evolution. Charlottesville-based author Khizr Khan joins us as part of the 2019 Carole Weinstein Author Series to discuss his book An American Family: A Memoir of Hope and Sacrifice, the story of one family’s pursuit of the American dream. The Muslim American Gold Star father and captivating speaker electrified viewers around the world when he took the stage at the 2016 Democratic National Convention and offered to lend Donald Trump his own much-read and dog-eared pocket Constitution. In this timeless immigrant story, we learn that Khan, the oldest of 10 children born to farmers in Pakistan, was a university student who read the Declaration of Independence and was awestruck by what might be possible in life. He was a diligent young family man who worked two jobs to save enough money to put himself through Harvard Law School. He was a loving father who, having instilled in his children the ideals that brought him and his wife to America—the sense of shared dignity and mutual responsibility—tragically lost his son, an army captain killed while protecting his base camp in Iraq. He is a fierce advocate for the rights, dignities, and values enshrined in the American system. An American Family shows us who Khan and millions of other American immigrants are, and why—especially in these tumultuous times—we must not be afraid to step forward for what we believe in when it matters most. Reception at 5:30 PM, program 6:00–7:00 PM. A book signing will follow the talk. 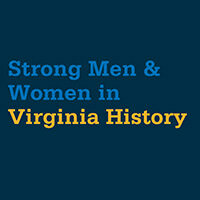 This event complements the Library’s current exhibition, New Virginians: 1619–2019 & Beyond. For more information, contact Emma Ito at 804.692.3726 or emma.ito@lva.virginia.gov. Becoming American: A Documentary Film and Discussion Series on Our Immigration Experience is a public program featuring documentary film screenings and moderated discussions designed to encourage an informed dialogue around immigration issues against the backdrop of our immigration history. Hosted in Richmond at the Library of Virginia with discussions led by staff from VCU Globe (Virginia Commonwealth University's Global Education Office), this is the second of three spring evening events with three more scheduled for the fall. April 9's film is My American Girls, with discussion led by VCU Globe's Barbara Ingber. Becoming American is designed to engage and enlighten audiences by screening documentary films that represent a selection of diverse immigration experiences drawn from both the past and the present. For more information, contact Emma Ito via emma.ito@lva.virginia.gov or 804.692.3726. Then pick up May's book, The Exact Nature of Our Wrongs, by Janet Peery (2018’s Fiction Award winner). Loaner books available. For more information, contact Nan Carmack at nan.carmack@lva.virginia.gov or 804.692.3792. Whether you want to write an essay, a short story, a book, or a journalism piece, the key is to figure out exactly what the story is. Led by Kristen Green, the Library's writer-in-residence and author of the New York Times best seller Something Must Be Done About Prince Edward County—with assistance from Ginny Dunn, the Library's Archives and Library Reference Services manager—this workshop will explore how to take a morsel of an idea and broaden it to have wider appeal. Learn how to do historical research to find supporting details in the Library's collections and online resources. Discover ways to refine your story ideas to get to the heart of the matter. Leave with new tools for making your story more focused and detailed. Feel free to bring a laptop or tablet if you’d like, but it’s not required. Both emerging and experienced writers are welcome. Minimum age is 16. For more information, contact emma.ito@lva.virginia.gov or 804.692.3726. Becoming American: A Documentary Film and Discussion Series on Our Immigration Experience is a public program featuring documentary film screenings and moderated discussions designed to encourage an informed dialogue around immigration issues against the backdrop of our immigration history. Hosted in Richmond at the Library of Virginia with discussions led by staff from VCU Globe (Virginia Commonwealth University's Global Education Office), this is the third of three spring evening events, with three more scheduled for the fall. April 16's film is The New Americans, with discussion led by VCU Globe's Christina Marino. Becoming American is designed to engage and enlighten audiences by screening documentary films that represent a selection of diverse immigration experiences drawn from both the past and the present. 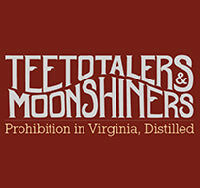 For more information, contact Emma Ito via emma.ito@lva.virginia.gov or 804.692.3726. Join us for the launch of award-winning journalist Thomas Kapsidelis's new book, After Virginia Tech: Guns, Safety, and Healing in the Era of Mass Shootings, and a panel discussion on the topic, part of the 2019 Carole Weinstein Author Series. The book examines the decade after the 2007 Virginia Tech massacre through the experiences of survivors and community members who advocated for reforms in gun safety, campus security, trauma recovery, and mental health. Reaching beyond policy implications, After Virginia Tech illuminates personal accounts of recovery and resilience that can offer a ray of hope to millions of Americans concerned about the consequences of gun violence. Kapsidelis conducted research for the book at the Library of Virginia during his stint as a Virginia Humanities Research Fellow. Joining him in the discussion are Elizabeth Hilscher, the mother of one of the students killed at Virginia Tech and a member of the State Board of Behavioral Health and Developmental Services, and Sarah Kleiner, a reporter for the Center for Public Integrity, who has covered mental health issues in Virginia. Reception at 5:30 PM, program 6:00–7:00 PM. A book signing will follow the talk. For more information, contact Emma Ito at 804.692.3726 or emma.ito@lva.virginia.gov. The 2019 Alan M. and Nathalie P. Voorhees Lecture on the History of Cartography will focus on “Pictorial Maps: The Art, History, and Culture of this Popular Map Genre." Dr. Stephen J. Hornsby will speak on "Picturing America: The Golden Age of Pictorial Maps." He is the director of the Canadian American Center at the University of Maine and focuses his research on historical geography and American cartography in the early 20th century. Eliane Dotson, owner of Old World Auctions and president of the Washington Map Society, will speak on “Putting the 'Art' back in Cartography.” An exhibition of pictorial maps from the Library’s collections will also be on display throughout the day. While the lectures do not begin until 1:00 PM, there are several activities offered during the morning, including a map exhibition, map appraisals by Old World Auctions, and tours of the Conservation Lab (reservation required). A workshop on "Exploring Maps in LVA's DigiTool" will be offered at 11:00 AM by the Library of Virginia’s senior map archivist, Cassandra Britt Farrell (reservation required). Box lunches are offered for advance purchase only. For more information, contact Dawn Greggs at dawn.greggs@lva.virginia.gov or 804.692.3813. Join Virginia Humanities Research Fellow Greg Smithers, a professor of history at Virginia Commonwealth University, for a talk on his research for a project entitled The Riverkeepers: The Cherokees, Their Neighbors, and the Rivers that Made America. The book is a biography of aquatic places that Cherokee people and their indigenous neighbors believed were filled with spirits and ghosts, human and animal life, and forces that brought (and bring) the land to life. Ranging from pre-contact indigenous history through the present era of rapid climate change, the book will reveal the enduring significance of ecology while providing fresh insights into the diplomatic, military, economic, and cultural histories of Native-European encounters. Smithers is interested in the Library's map collection and colonial history holdings. For more information, contact emma.ito@lva.virginia.gov or 804.692.3726.